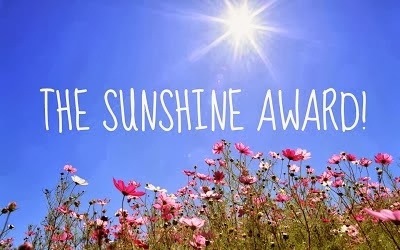 The Sunshine Award #2 – TastyTreats13! I was so thrilled to discover that I was nominated for the Sunshine Award by Jhuls of Thenotsocreativecook the other day! It was so kind of her to nominate me and I feel very honored. If you haven’t seen Jhuls blog, go check it out now! It’s so great it’s full of delicious looking recipes! Thanks again Jhuls! Why did you start blogging? It was a school project, which is currently coming to a close, but I intend to keep it up. Sweet or Savoury? I love savory, but I’m going to have to go with sweet. Desserts are my favorite thing ever! If you were to go on any reality TV program, what would it be and why? Hmm, those look very intense. Probably some kind of desserts show, I’m not sure which one. Night In or Night Out? Night in. What has been your favourite blog post to write? Probably my interview with Heather Roth. What’s the one thing you never leave home without? My phone. Where would you most like to travel to? India would be amazing! There are so many places I could visit there. If you could have any super power, what would it be? I’m not sure if this is a “super power” but I would love to be able to breathe underwater! It would be so great for when I have swimming. What can we expect to find from your blog in the future? Mostly the same things but I am going to try to branch out with my recipes. Maybe some more interviews. Thanks so much again to Jhuls! Wow! Congrats🎓 on your new award! Congratulations and thank you very much!!! Congrats! I’ve never made rice crispy treats. Do you plan on making them? Thank you! I was happy to pass it on to you! Well done – you deserve the award!! Congratulations on your award and thank you so much for the nomination!